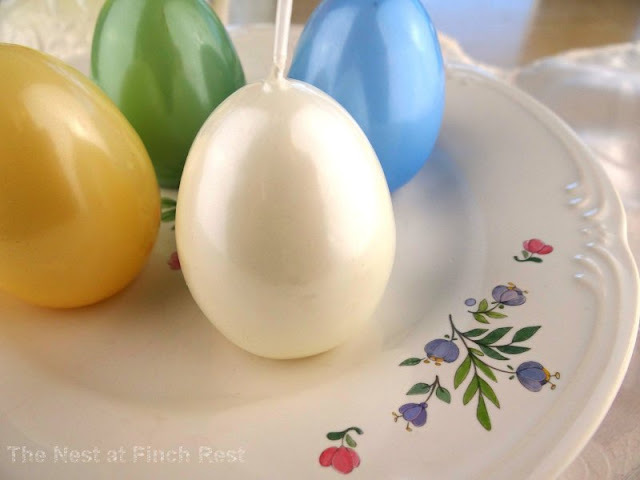 These are some simple Easter or spring shots I have taken around the nest and haven't shared yet - a relatively wordless post. The above was part of a huge box filled with amazing goodies and treats and recipe book and love ......Get Well Care Package from my dear blogger friend Nancy from At Nann's Table. 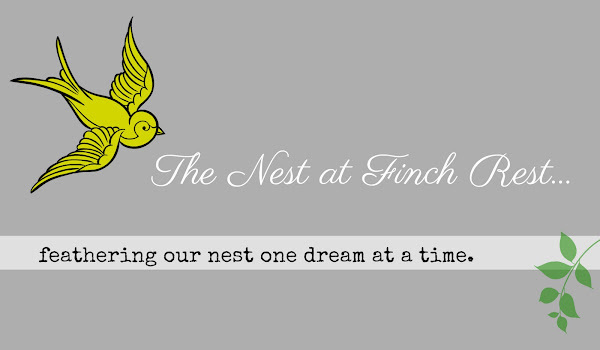 This is a blog worthy of timely perusing - wonderful recipes and inspiration...and a sweeter lady you just cannot meet! Please make a point to stop by and say hello to that wonderful gal! Isn't she sweet?!? 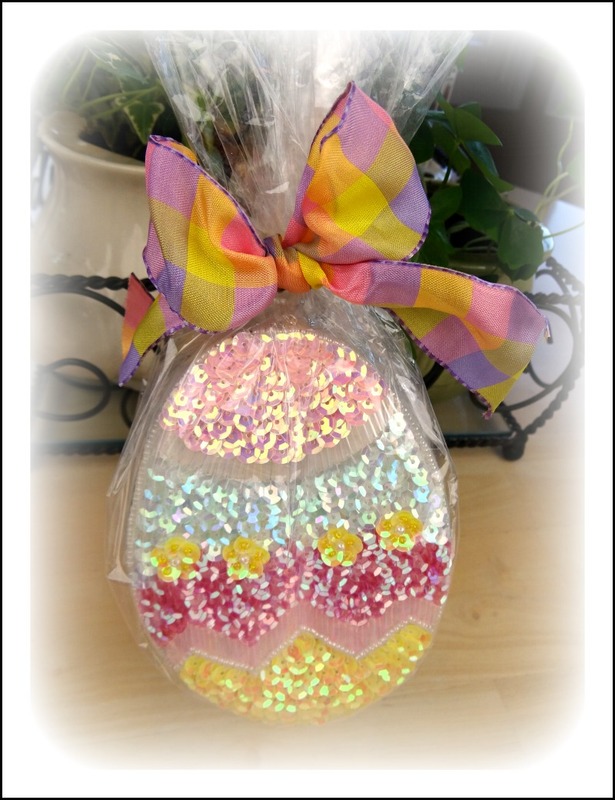 This is a beautiful sequined satin Easter box filled with lemon white chocolate bits! YUM!!! Thank you so much, Nann!! Love your wreath and the sequined egg that Nann sent you is really special! The antique eggs in your previous post are lovely too. Lots of pretties. Happy Pinks and I hope you're feeling much better by now. Enjoy this lovely Easter weekend. Dear Michele, thank you for your loyalty and kindness! 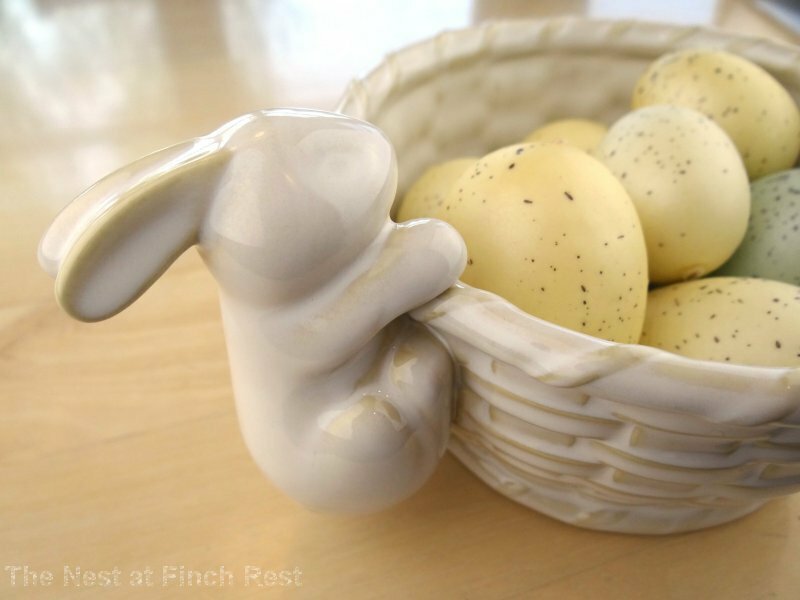 Have a happy and peaceful Easter weekend! As I see your nest is ready for the celebration . 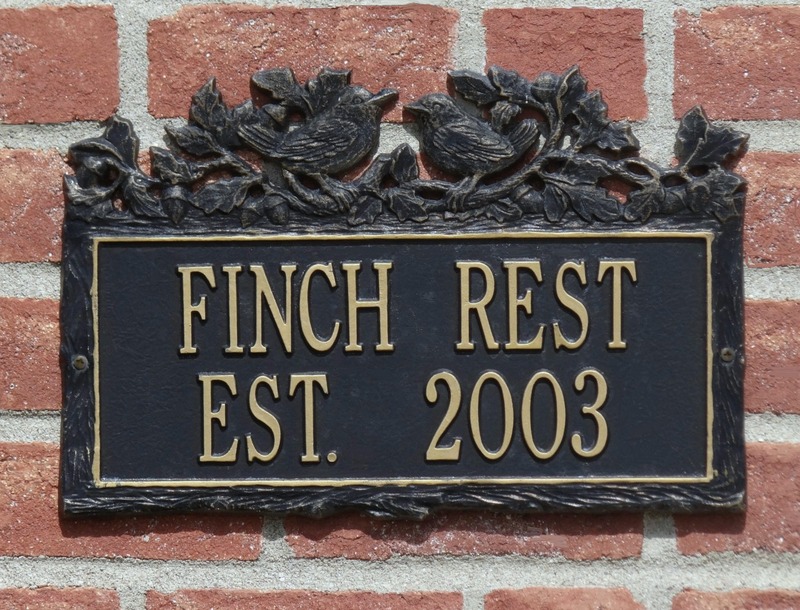 Stopping by to say hi! Very bright and beautiful colors! I scrolled a tad to see if you'd posted about feeling bad. Hope you're better. Oh my precious friend, you have just touched my heart. That was SO kind of you to post the picture of the sequined egg and my blog. 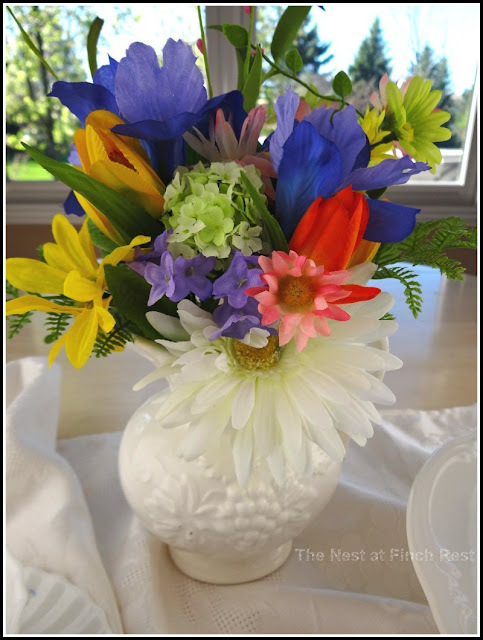 What a wonderful Easter surprize! I am thrilled that you have enjoyed it so much. Hoping this finds you better and that you have a joyous Easter tomorrow. Just stopping by to wish you a belated Happy Easter! He is risen.....he is risen indeed! 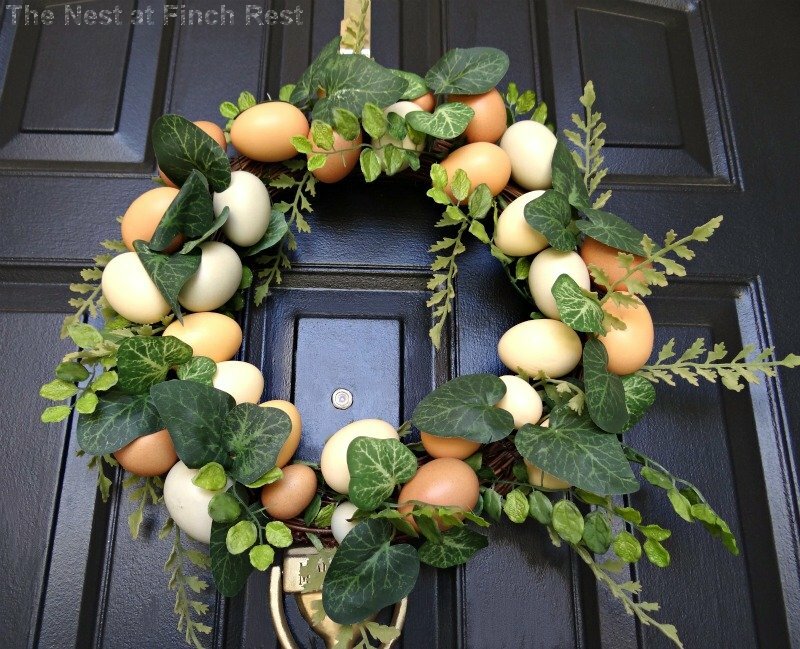 Your egg wreath is amazing!